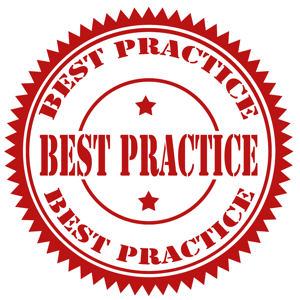 What is a best practice? For some clients, discussion has focused around putting policies and procedures in place for accomplishing projects. While other clients think of best practices as a means of ensuring that everyone is using the same terminology and templates and is better trained in project management technical skills. For yet another client, it was important to "get a handle on this project management thing." Given today's economy, the focus for many organisations, especially around project management, is on doing more with less: shorter deadlines, tighter budgets, reduced human resources and general uncertainty in what is going on in the organisation overall. For some organisations, slashing projects is not out of the ordinary in these times, even some projects that are considered strategic in helping the organisation move forward. Their main question, "Where do I start?" In a conversation with a new lead project manager at an organisation who was hired to "get a handle on project management," he mentioned to me that the last three people didn't work out, and he was wondering why. In attempting to understand the points of failure of his predecessors, it became apparent based on conversations that the last three lead project managers went into the organisation "guns a' blazing" to establish a PMO, along with standardisation of processes, tools and templates. 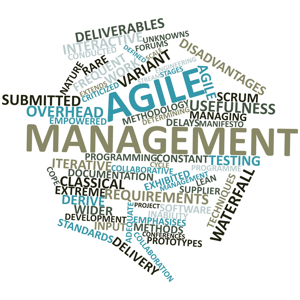 This is an organisation with nearly 100 project managers who, without a doubt, have processes in place for how they manage projects, whether formal (known and practiced by other project managers in the organisation) or informal (known by the project manager him/herself and used regularly.) The last three individuals in the role made the wrong assumptions that there were no processes in place and they believed that they had the authority to enforce their agenda. While this may be the case, any good leader in an organisation cannot force change without getting buy-in, even from their subordinates, in order to be successful. Their major problem, their approach was all wrong and was setup to fail. Remember, key in establishing standards, whether around project management or any other function, is to get buy-in and consensus to ensure success. In this example, the new lead project manager will want to get to know how the project teams currently work on projects, what processes (formal and informal), tools, templates, standards are currently utilised now? How has it helped the success of the projects? Who else is using these methods of getting things done on their projects? Who have they shared their information with? Some sleuthing and data gathering is necessary here. I bet there are numerous processes in place throughout the organisation, likely they just aren't written down and formalised within the organisation. 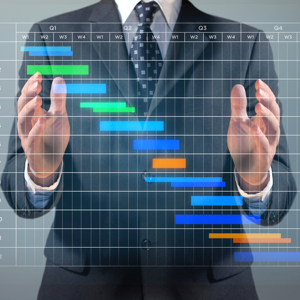 The "owners" of the processes are your champions for standards within the organisation. You need their buy-in for the success of your endeavour, which is to put organisation-wide standards in place around the project management function. And don't forget, these individuals have valuable information that can jump start what you are trying to do. Step 1: Do a bit of research within the organisation as to how projects are getting done now. Get out there and talk to some of the project managers and project team members. Step 2: Gather all the data you have found, look for similarities/marked differences. Get all of the process "owners" together to share information with each other and discuss their approaches. Step 3: Document the conversation and meetings with the process "owners" based on their discussions: what works/what doesn't work, what agreement has been reached on sharing processes and making a standard from what already exists, what are next steps in bringing it all together to develop an organisation-wide standard. Step 4: Bring the rest of the organisation into the loop, share the current processes in place, acknowledging the "owners" of the processes and highlighting how successful they been on projects because of their processes they have put in place. Then, discuss how standards may be developed organisation-wide using a composition of processes already developed and being successfully implemented and filling in the gaps with new processes where needed. Step 5: Think about how to incorporate industry best practices, such as the Project Management Institute's Project Management Body of Knowledge (PMBOK) and/or APM Group's PRINCE2 Methodology with the organisation's standards. The key in all of this is communicating throughout the organisation. Share your knowledge and your long-term goals, but most of all, listen and learn from others. You need them to be successful in implementing your goals. Gina Abudi has over 15 years consulting experience in a variety of areas, including project management, process management, leadership development, succession planning, high potential programmes, talent optimisation and development of strategic learning and development programmes. She is Partner/VP Strategic Solutions at Peak Performance Group, Inc. in Gloucester, Massachusetts. Gina blogs at www.GinaAbudi.com She has been honoured by PMI as one of the Power 50 and has served as Chair of PMI's Global Corporate Council Leadership Team. She has presented at various conferences on topics ranging from general management and leadership topics to project management. Gina received her MBA from Simmons Graduate School of Management. Question: What is the next number: 10, 12, 14, ..?